I've been so excited to share this dress on my blog. 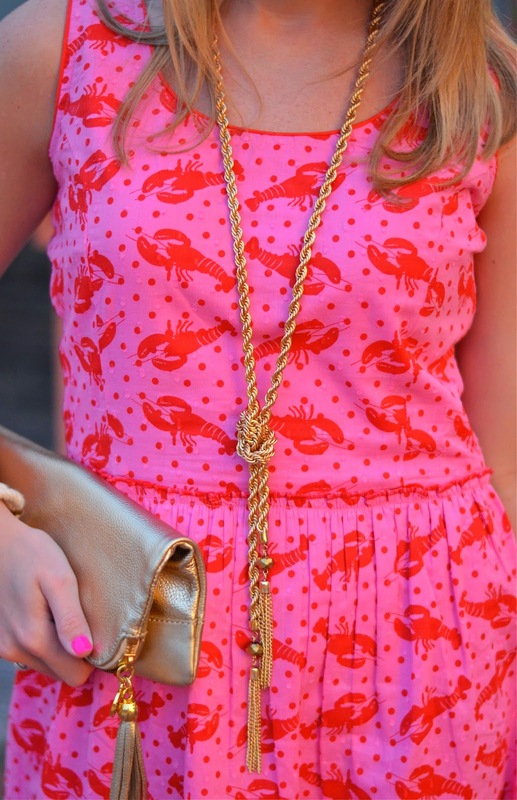 I'm a fan of all things nautical, and I especially love a good lobstah' design. I was also thrilled to receive this gorgeous love knot necklace from BTB Jewelry. The quality of this necklace for the price is amazing. I will be pairing it with everything! The beads and tassels at the end just add to the fabulousness of it. To see more lovely pieces from BTB Jewelry, be sure to follow along on Facebook, Twitter, and Instagram. Do you love a good nautical print? The nautical feel of this look is just perfection! Cute dress! I love how you paired it with gold accessories.